On January 6, 2016, two days short of Kim JongUn’s birthday, the Democratic Peoples’ Republic of Korea (DPRK) conducted its fourth nuclear test. The test took place at 10:30 AM Local Time (01:30:00 UTC). An analysis of the seismic data from the test, clearly points to the fact that the earthquake (with a magnitude of 4.85 on the Richter scale) was the result of a nuclear test and not due to a natural earthquake. North Korea released a statement following the test which claimed that it had conducted a nuclear test and had exploded its first H-bomb. North Korea has conducted four nuclear tests in 2006, 2009, 2013 and 2016. the first test in October 2006 with a yield of ~1kT was a fizzle. This was followed by the second test in May 2009. Though there are differences over the exact yield of the test with estimates ranging from 2.4 kT to 5 kT it is considered to be a success. The third test in February 2013 had a yield around 10 kT. 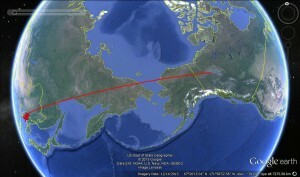 It has been estimated that the four North Korean tests were conducted in the same area. Thus, it can safely be assumed that the overall geology in the area will be similar. This is an important fact which will allow for the comparison of the seismic signals of this test with those of the earlier tests. Given the similarities in the seismic signatures of the 2013 and 2016 tests, it would be logical to conclude that the yield of the 2013 and the 2016 nuclear tests will be close to each other. While seismic data confirms that a nuclear device was tested, additional evidence is needed to confirm that it was a thermonuclear device. While expert opinion around the world seems to be veering towards the view that the 2016 test was indeed that of a fission device, from a purely technical point of view one cannot rule out the possibility that the test was that of a small thermonuclear device. Radionuclide Monitoring is the smoking gun which establishes beyond all doubt that a nuclear weapon was tested and enables an analysis of the nature of the weapon tested. Regardless of the type of the nuclear device tested, the very fact that North Korea conducted a successful nuclear test is dangerous. With four nuclear tests, Pyongyang is moving towards the capability to successfully miniaturize a nuclear warhead which would be deliverable by long-range nuclear missiles. If so, can North Korea target their main perceived enemy, the United States? In this context it is important to take a closer look at the North Korea’s successful launch of a remote sensing satellite and placing it in a sun-synchronous orbit on December 12, 2012 on the Unha launch vehicle. Though the North Korean Unha is designed as a space launcher, it can be suitably modified into a ballistic missile. 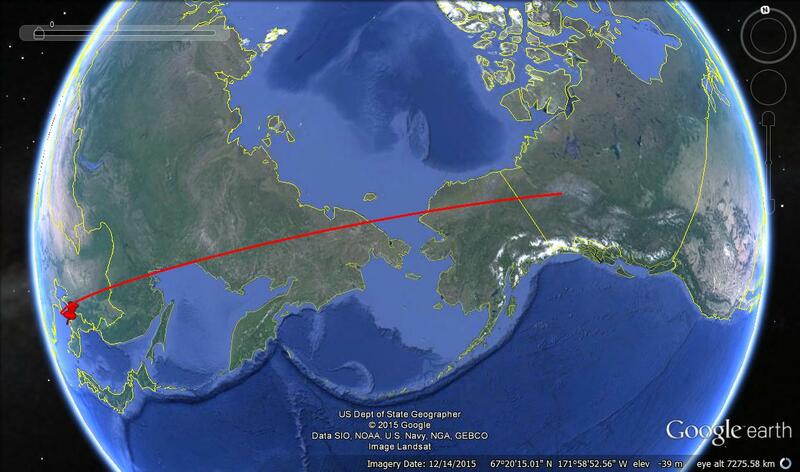 Trajectory analysis using the NIAS trajectory modelling software – Quo Vadis – shows that a due North East launch of the Unha from a suitable location with a 1000kg payload (sufficient to carry a nuclear warhead) can reach all of Alaska and some parts of northern Canada. Click here to download KMZ file for 1000kg payload and Azimuth of 25 degrees. 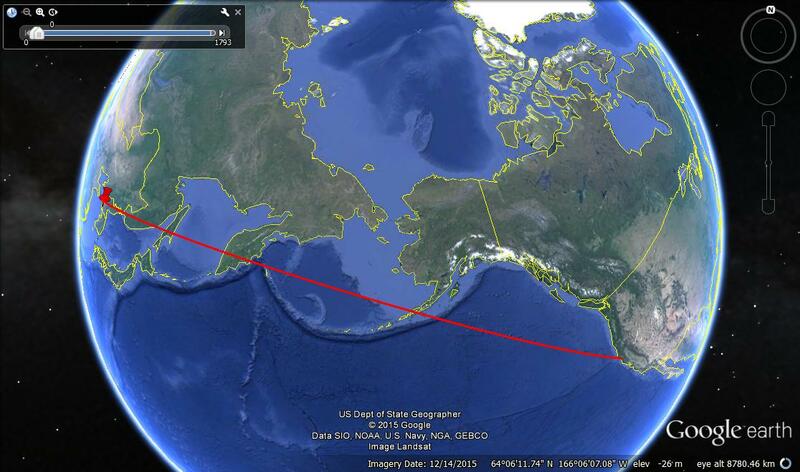 With further reduction of the mass of the payload to say 800kg and launching at an Azimuth of 40 degrees, a North Korean ballistic missile will just be able to reach parts of western coast of the continental United States including the states of Washington, Oregon and northern parts of California. Click here to download KMZ file for 800kg payload and Azimuth of 40 degrees. The test is an indicator that Beijing does not have complete control over the actions of its North Korean ally. China would also be obviously concerned about a nuclear neighbor whose behavior is difficult to manage. Given this situation China would have doubts about North Korea’s role as a friendly buffer state between China and US dominated South Korea. This development would strengthen the US position vis-à-vis the China-Korea-US dynamic. Though North Korea is geographically far away from India its growing nuclear weapon capabilities are of direct concern. This arises largely because of the close coupling of the Pakistani and North Korean missile and nuclear weapons programmes. There is no doubt that the Ghauri missile is a copy of the North Korean Nodong missile. 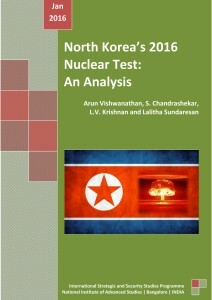 There is also evidence that Pakistani nuclear scientists have visited North Korea and had discussions with them. Pakistan had tested nuclear devices in 1998. All of them were Uranium based devices which are more difficult to miniaturize. Though Pakistan has a major Plutonium based weapons development programme for miniaturization, the fact that it has not tested a Plutonium based device does not lend credibility to its miniaturization claims. In light of the links between North Korea and Pakistan it is likely that the North Korean Plutonium based tests serve as surrogate tests for the Pakistani miniaturization drive. This has direct security implications for India. This paper is indeed a valuable contribution and policy makers in the country should pay heed. It is amazing that North Korea which is so much subject to economic sanctions and is an international outcast could progress technologically so much that it could test these devices. Some experts in the US establishment seem to doubt whether it is a hydrogen bomb. But N. Korea has demonstrated that it is strategically a threat to the region. What is shocking is that China which is said to have some influence over N. Korea has been taken unaware. Moreover, U.S. may no longer pretend over the nuclear proliferation role of Pakistan (read, A.Q. Khan) and consider it a ‘trusted’ ally.